Getting married is not as simple as phoning up a marriage celebrant and saying the two words. There are legal forms and timelines that have to be adhered to and, most importantly, choosing a celebrant that you and you partner will feel comfortable with. This is a document that has several components to it. You and your partner need to complete some sections and your celebrant will need to complete others. But accuracy is imperative so take your time when filling it out and double check everything. Some sections are completed pre-ceremony, and others post-ceremony. Every couple wanting to get married must complete this form and give to your marriage celebrant at least one month prior to your planned ceremony. If you have been married before and that marriage ended in divorce or the death of a partner or if you or your partner have previously changed your name, you will need to provide evidence of this as well as proof of identity, for example a birth certificate, a current passport or a driver’s licence. Like all service providers, there are marriage celebrants and there are marriage celebrants. Take your time in choosing your celebrant: this might mean speaking with several celebrants until you get the one you feel your will be able to work with to design the ceremony you want and who will also be able to enhance your ceremony on the day. Prices for marriage celebrants services vary: dollars do not necessarily mean quality. Generally though, costs to design, deliver your ceremony and complete the legal documents start from around $500. Whether your service is civil or religious, it’ll likely follow the same general outline, but no two wedding ceremonies are alike. Even if some couples say the same vows or take a deep dip for the kiss, every pair has a unique mix of things as it comes to their celebrant, their remarks, their ring exchanges, and more. 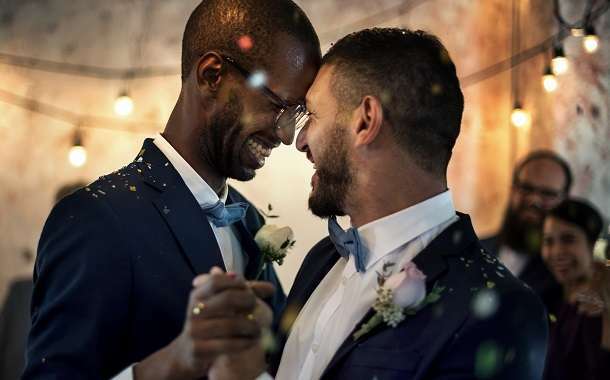 But there are two components of a wedding ceremony that must be, by law, incorporated into the ceremony to ensure that your marriage is legal. These are the monitum, spoken by the marriage celebrant, and the legal vows, which are commonly known as the “repeat after me” vows. These must be spoken word for word verbatim by both parties to the marriage. However, you may also include vows, or any other reading, that you and your partner have written yourselves or found from another source. Furthermore, you might choose to add a ritual into your ceremony such as a handfasting, a unity candle or ring warming, just to name a few. There are many rituals that can be added into a wedding ceremony and your celebrant should be able to advise you further. Rituals can be used to symbolise many things – sometimes it is the ‘spin’ that determines the meaning of the ritual. For example, a candle ceremony could be used in a baby naming to symbolise a new beginning, in a wedding ceremony to symbolise the joining of two families, or in a funeral as a symbol of remembrance. The Celebrant Addresses the Couple: Your celebrant may take this moment to emphasize the significance of the vows you’re about to exchange. This may also include a reminder of your duties and roles in marriage. The Exchange of Vows: Your vows are your promises to each other. You may repeat the familiar “to have and to hold, for better or for worse” vows or recite ones you have written yourselves. The Ring Exchange: As you exchange rings, this is usually where the ‘legal, repeat after me, vows’ are said. The Kiss: The moment everyone’s been waiting for, your first kiss as a married couple. Signing of the Marriage Certificate: Usually, this where there is a short break to the proceedings whilst you and your partner, your two witnesses and your celebrant step aside to sign the marriage certificate. The Closing Remarks: Your celebrant wraps things up with a few last words. The Recessional: You and your partner exit the ceremony together. Step 4: Time To Party! Joshua Hart is a Brisbane-based celebrant.